Recruitment and advertising for new staff is an expensive business. Traditionally, recruitment agencies have charged a high percentage of the annual salary to fill a vacancy, and left you wondering how they can justify the fee. Of course, you can advertise the position yourself on a premium job board, but each one will cost you a packet. So what is the answer? How do you fill that vacancy effectively and professionally without it breaking the bank? This is where Sussex HR’s professional recruitment and job advertising service comes in. Like a recruitment agency, the Sussex HR team will write your job advert and advertise your vacancy for you. But there’s a BIG difference. Sussex HR doesn’t charge you a percentage of the annual salary. Instead, you pay a fixed low fee for your job vacancy to be advertised on multiple premium job boards. Your vacancy gets greater exposure at a fraction of the cost, and you get the staff you need without blowing the budget. How does Sussex HR’s recruitment service work? Because Sussex HR manages recruitment for clients across the UK, their buying power means they have access to multiple online premium job sites. Typically, your vacancy is advertised on up to six premium job sites, reducing your costs to around a fifth of the price you would pay if you advertised yourself. Sussex HR also has access to specialist job sites in different industries, for example, the health and home care sector. 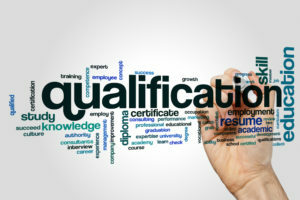 This ensures the people responding to your adverts have the right experience and qualifications for your organisation. As the applicants’ CVs roll in, they are sent on to you to arrange the next stage of the recruitment process. Of course, as professional HR consultants, Sussex HR is on call if you need additional help with your recruitment. When you work with Sussex HR, you have a complete range of recruitment services at your disposal. You simply decide what help you want and when you want it. There are no expensive recruitment packages. Forget paying a percentage of the new employee’s salary. Instead, you pick and mix the services appropriate to you, and you pay only for the HR consultant’s time. or call Sussex HR free on 0800 074 1066.